Perhaps not the MOST famous foodie we have ever profiled, but certainly the goofiest. 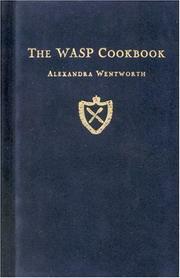 Alexandra Wentworth is the author of the WASP Cookbook (the Protestants, not the bugs.) She comes by her waspness honestly, after all, her name is Alexandra Wentworth. 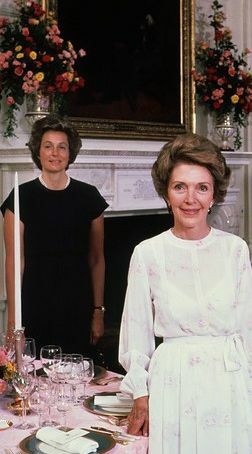 She is the daughter of Mable Cabot who was formerly, Muffie Brandon who was the social secretary for one, Nancy Reagan. This begs the question, how does the granddaughter of an explorer and the daughter of social secretary end up on the Starz Network? Even the waspiest among us can take a wrong turn! So in the late 1990's Alexandra Wentworth published the WASP Cookbook. It wasn't meant to be a best-seller. It has the feel of one of those books that got published because Muffie had lunch with Buffy whose son just got a job from his brother Biff's Harvard roommate who works at a publishing house owned by Tad's dad who was having lunch at the Somerset Club(see Cookbook Of The Day) and said that Ali was between jobs and gee wouldn't it nice if she were a published author. So they published a few copies in a cheesy blue velveteen with flaky gold titles and then remaindered most of them. As time marched on, they became quite the collector's item, so now that $1 remainder could set you back about $40. "...this is what prompted me to track down some old prep school chums (off doing graduate work at Cornell, having babies in Bedford Hills, or in prison for insider trading) to collect their family recipes and cooking secrets. I discovered that, because most food is prepared for wasp's at the country club or by their help, most recipes were not written down in any kind of organized text. of course, occasionally, you can find recipes on the back of a Crane's stationary envelope or a yellow index card stuffed into an old Architectural digest magazine. 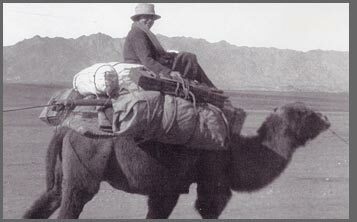 But for the most part, WASP cuisine has survived almost entirely through an oral tradition handed down from mothers to daughters or from butler to butler." The WASP Cookbook is divided, like so many cookbooks, into seasons. For Spring there is the Barn Party. Summer features a Croquet Breakfast. Autumn has A Middleburg Foxhunt, while Winter features the perfect items for the Blessing of the Hounds. Place the ingredients in a food processor and blend until smooth. Serve with stone-ground wheat crackers. Preheat oven to 350 F. Mix ingredients in a large bowl and pour into a casserole dish. Bake for 1 hour, or until bubbly. Just in time for the Vineyard Antique Show! I was lucky enough to get a copy of the book 9 years ago or so which I recently just sold for $50 on amazon. haha. it's a fun read! I had a copy of this one, too. I think I let go of though, alas. She is so right about Newman's Own dressing. Sadly, that is pretty much how I cook. Hilarious, as Ms. Wentworth always is, and spot on to those of us who live in little Wasp seaside resorts, and are of an anthropological bent.